Darnell Turner is photographed in his home Thursday, Dec. 15, 2016, in Chattanooga, Tenn. Neediest cases helped Turner to pay his mortgage while he was overwhelmed by medical bills. 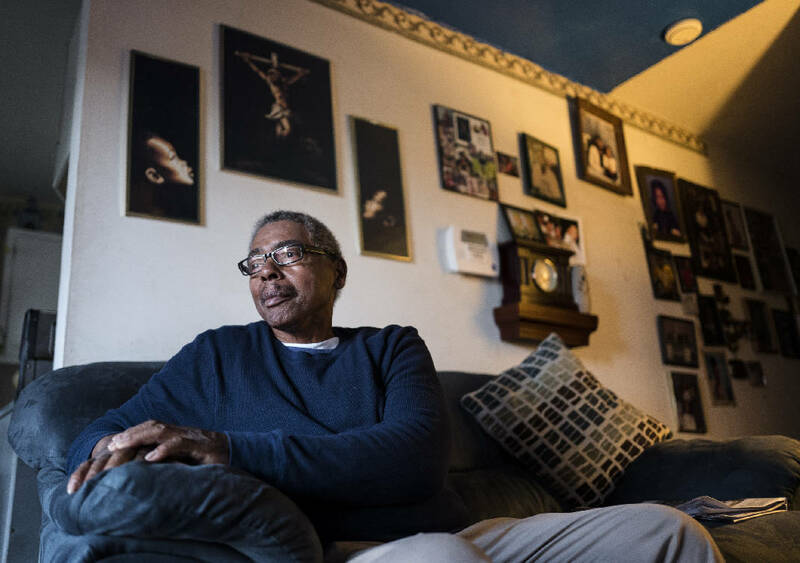 For more than three decades, 72-year-old Darnell Turner supported his family as a factory worker. He retired, then made ends meet cutting yards and working as a handyman until he got sick. Diabetes always nagged him, but in 2008 he was diagnosed with an aneurysm that has had him in and out of the hospital ever since. Turner has been dealing with his illness so much lately that he wasn't able to maintain his normal work flow and couldn't pay his $300 mortgage. Neediest Cases gave him the money to get it done. "I checked a couple of places but they all said they didn't do that, so it [Neediest Cases] was the last straw," said Turner, who has lived in his Alton Park home for more than a decade. He is one of 170 people assisted this year through financial contributions made by local readers. Former Chattanooga Times Publisher Adolph Ochs started the Neediest Cases fund in 1914, giving readers the opportunity to contribute money during the holidays to meet the needs of local residents. The United Way manages the fund. About $68,000 has been issued to families in need this year from January through the end of October. The United Way makes every effort to be certain that funds paid go to meet a specific need, said Family Promise Executive Director Mary Ellen Galloway. Agencies can't just call and say they need $300. Case workers must verify information and understand what's going on with the family, what is causing the need and how the money will be used before it can be released, Galloway said. "This is when all other options have been exhausted and when someone is about to be evicted or [have] no lights," she said. Like Turner, most clients coming to Neediest Cases had previously been able to meet their own needs but had fallen into circumstances that caused them to seek help, said Paula Smith, who works with the mothers of some of the boys in her husband's YMCA Community Action Program. "They try. They try to be self-sufficient," Smith said of the people she meets. "It's hard when you're independent and want to take care of yourself." Turner is among more than a dozen clients Family Promise recommended for Neediest Cases this year. Most of them have been in danger of being evicted or losing utilities, or simply lack the funds to get into housing, Galloway said. "We love this Neediest Cases Fund because they'll pay for things that no one else will," she said. "Sometimes it could be a check for $300 that can make the difference between someone being on the street or being able to keep their housing."